Candidates should possess AME Diploma/ Certificate in Aircraft Maintenance Engineering from Institutions approved by DGCA under Rule 133 B with 60% of marks/ equivalent grade for Post 1, ITI in painting/ Upholstery, issued by Govt. of India or KGTE/ KGCE, issued by state Govt. With minimum 3 years work experience in aviation industry/airline post-qualification in painting/ Upholstery trades for Post 2. Candidates Applicant Age Not Exceed (Aircraft Technician) 35 Years And (Tradesmen) 45 Years as on 30-06-2017. Age Relaxation As Per Rules Will Be Applied. For More Information On The Age Of The Posts Published Advertisement. Candidate have to pay Rs 1000/- through demand draft in favour of Air India Engineering Services Limited payable at Delhi. ST/ SC candidates are exempted from payment of fee. · Candidate will be selected based of medical exam and interview, For more details please go through the advertisement in pdf file given below. 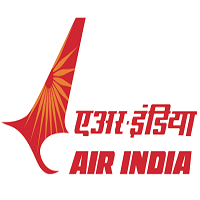 · Visit The Official website first, www.airindia.in. · Click on the Careers Section. · Go to the Official notification of the Aircraft Technician and Tradesman jobs. · Read all the details. · Fill all the information and attach the relevant documents. · Carry all these certificates and attend the Interview on scheduled dates. Date & Time of Interview: 28 to 30-06-2017 at 09:30 AM to 05:30 PM. Venue: Air India Engineering Services Limited, Maintenance Training Organization, Mascot Junction, Near Mascot Hotel, Thiruvananthapuram – 695 033.